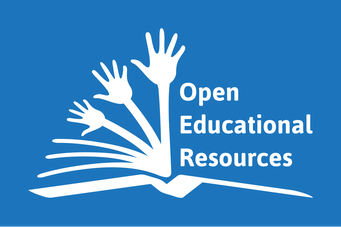 Teaching/ learning materials for adult educators: - let-europe-knows Webseite! Topic such as: How do I find the right story? How do I write a good press release? How do I plan an effective campaign? How do I use social media? Where can I find European specialist media for adult education? How do I position the topic of basic education on site? How do I treat stereotypes and fakes? Research has shown that several target groups, including adult learners and adult education professionals, can best be reached in a journalistic manner. 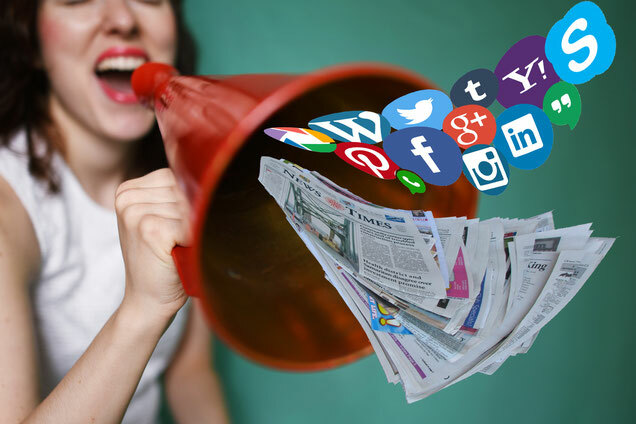 Therefore journalistic means, such as journalistic articles, campaigns, online media and mass media play an important role in raising the knowledge and awareness about learning as an adult. However, adult education institutions often do not have the professional staff experienced in media and journalistic activities. Adult educators do not know and are not trained on how to go about it and how to transfer the message in a journalistic way. 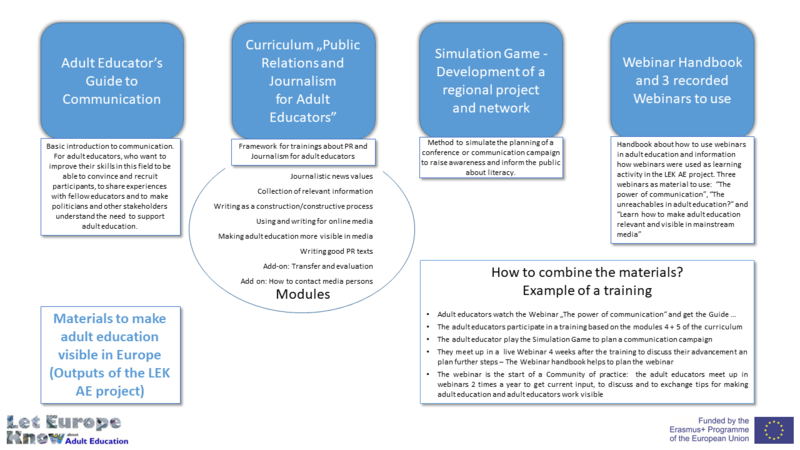 The main objective for the project is to increase the professionalization and quality within the adult education sector, with special focus on information work of adult education staff. Adult education actors must improve their competencies in communication in particular with the actors of other countries, backgrounds and cultures. How can you use LEK?